Fantastic February Exeter Business Network event – thank you to everyone who contributed to it! THE networking lunch at Exeter Golf and Country Club began with a quote from Mark Zuckerberg who (in case you didn’t know) founded Facebook on 4/2/2004…. “The thing we’re doing with Facebook is just to help people connect and communicate more effectively” The same could have been said by the people who set up Business Network (Terry Buchanan in New Zealand back in 1990 and the the Enright’s who brought it to the UK in 1993) – and I can categorically state that is exactly what happens at the events that take place not just in the South West but all over the UK. And one more historical fact – the first ever Business Network event in the UK took place at Exeter Golf & CC in May 1993! Prior to the lunch Chris Wood – Q Social Media delivered a fabulous seminar – full of top tips, advice and ideas to enable you to get more from your digital marketing. 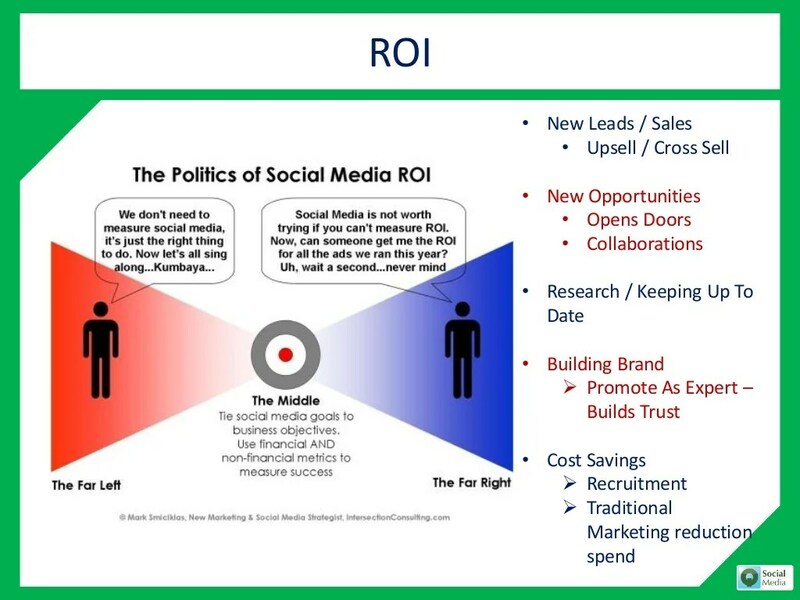 From reviewing your current web traffic – synching your online and off line marketing – being proactive – looking at the digital advertising (Facebook, Twitter, Google) – your SEO performance (or not) – the content marketing you’re doing (or not) – your social media activity and finally your email marketing – all of which lead to your ROI! or if what’s been listed seems a lot then contact Chris for help……. Onsite training special offer – 20% discount if booked by end of April – either one to one or more than one person can attend. Alternatively you can outsource all or some digital marketing activities and have them managed by ourselves, where for Google Advertising may pay for itself if spending over £500/month and not optimised – potentially 50% saving there in advertising budget once optimised and thus would cover our fees rather than having to pay on top for this. What follwed was THE networking lunch where all those attending brought a room full conversation, energy and enthusiasm! I really do need to record the terrific amount of noise of the conversations you were all having! Next event 4/3/15 at Bridwell Park. Super seminar Disability Confident – are you? Come and see the benefits to you – before THE networking lunch! Preview here! PDF of the event programme is downloadable here – full of all sorts of great offers and opportunities, Chocolate Meditation, 2015 dates, the March event, networking tips and even more! I’ll be there as well as 100’s and 100’s and 100’s of others! Devon Life Business and Professional is a brand new magazine, launching on 12th March, and will be packed with tantalising copy, matching the top-notch content readers are already treated to in our county magazine. The new, quarterly publication will be bursting with insightful news, inspiring features and important advice all linked across the Devon business community. Being polybagged with the April edition of Devon Life means every reader who currently reads our main magazine, will also get a copy of Business and Professional. We will be hosting 200 top business decision makers at our launch event on the 26th March at Sandy Park. Look for Joe Bloggs – If you introduce someone called Joe Bloggs who is a decision maker in a business – they come to an event and join then I will give you 12 months membership free! 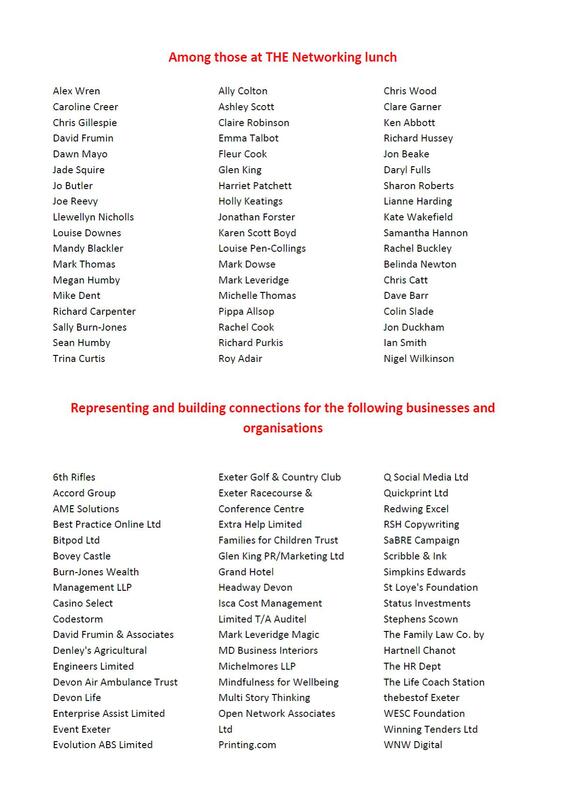 Businesses that could and would benefit from networking – to name a few! Business Network SW Blog – Members feel free to send me details of events, good news, offers etc. and this will be added and distributed using social media. Business Network SW – discussion group on LinkedIn – 1310 members! Feel free to get involved and participate in discussions, comment and post! And finally – THANK YOU – for all the Twitter activity! 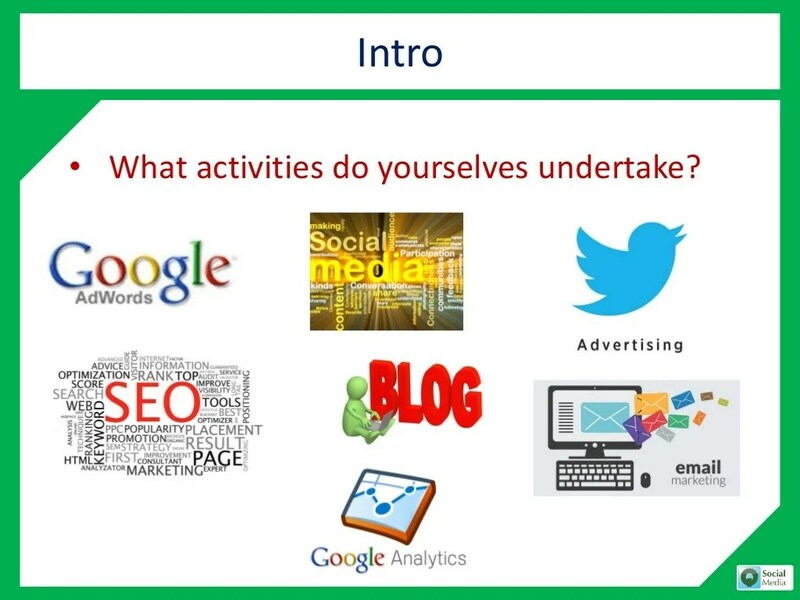 Excellent training session with @qChrisWood today from @qsocialmedia. Thank you. #BNSW@seanhumby And a yummy lunch…. @qsocialmedia & @wescfoundation – cannot wait for the next one!! 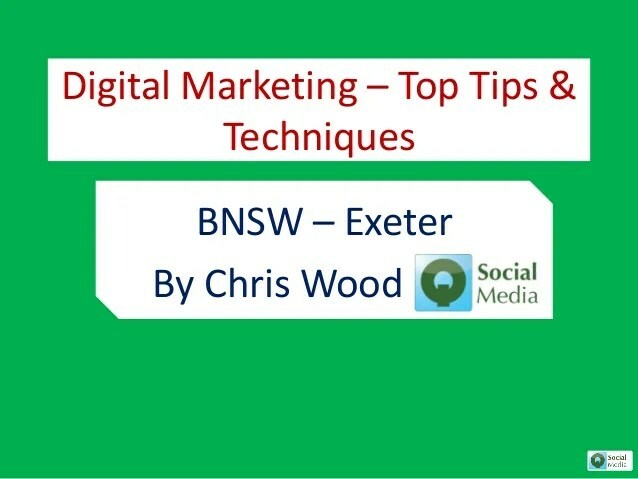 Off to meet @seanhumby for a #BNSW seminar – onlinemarketing! @seanhumby @AccordAdValue @JMSNDevon Look forward to seeing you all! Plenty of Q&A and live demo’s as well! Yes there is wine on the tables – we are all adults! « Exhibitionists only – time to reveal yourself? We will be on 30th April at…….